Complete a Video Interview to get your dream job in the cannabis industry! The Ohio Medical Marijuana program is underway and in order to service the entire State of Ohio MaryJane Agency is compiling a huge database of candidates wanting a position in the Ohio cannabis industry. Now is the time to add your video interview so that you may experience the most efficient way of finding the job YOU desire! In order to be added to MaryJane Agency's Video Interview database please submit a cover letter letting us know about your experience in the cannabis industry (if any) along with your resume OR you can email it to resume@maryjaneagency.us. 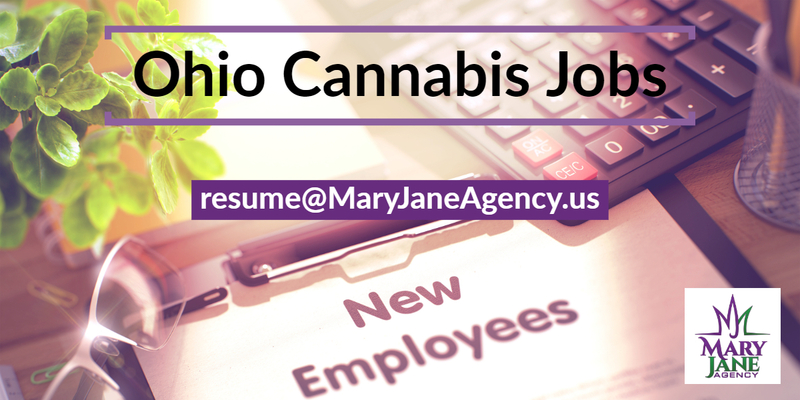 Please note that we will be reviewing resumes over the course of the next few months as Ohio's Medical Marijuana program continues to unfold. If we find a suitable match between your qualifications and any current job openings available, we will call you to talk further. We appreciate your desire to become affiliated with MaryJane Agency and hope to find you the career of your dreams! Time is valuable. For both you as well as for employees looking for that new career. That is why we also offer state of the art video interviewing. Gain more insight on candidates in a fraction of the time and make better decisions by sharing interviews with an unlimited number of hiring managers to collect instant feedback. Determine which candidates you like best, organize your shortlists and easily respond back to us to keep the process moving quickly and efficiently. Medical marijuana jobs in Ohio: What kind of backgrounds are necessary?